Arthritis is one of the most common diseases and yet it’s not well understood. There are more than 100 different types of arthritis and related conditions that affect people of all ages and it is the leading cause of disability in America. More than 50 million adults and 300,00 children have some type of arthritis. Welcome to Nanticoke! The 35th in VIA's "Our Town Series", Our Town Nanticoke is a "day-in-the-life" video scrapbook focusing on the people, places and happenings of Nanticoke, Pennsylvania, as seen through the eyes of its residents. Battling Opioids, a project of Pennsylvania Public Media Part 2 is continuation of the multi-platform initiative that launched this past fall. The first 30 minutes of this new program consists of a documentary of personal stories of courage and hope in the face of opioid addiction. The second half of the program will consist of an in-studio panel discussion on how families are confronting the epidemic of heroin and prescription opioid abuse and the impact that the epidemic is having on all members of the household from newborns to grandparents. April is National Poetry Month and WVIA is celebrating all month long! In December top regional high school students participated in the Poetry Out Loud Regional Competition at the WVIA Public Media Studios. 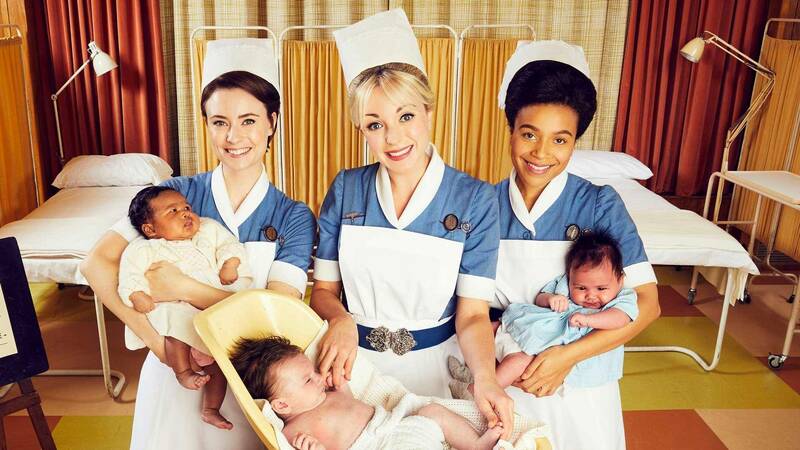 Returning for an eighth season, this moving, intimate, funny and true-to-life series, based on the best-selling memoirs of the late Jennifer Worth, tells colorful stories of midwifery and families in London's East End in the 1950s. Jenny Lee, a young woman raised in the wealthy English countryside, has chosen to become a nurse and now, as a newly qualified midwife, has gone to work in the poorest area of the city. Attached to an order of nursing nuns at Nonnatus House, Jenny is part of a team of women who minister to expectant mothers, many of whom give birth at home in appalling conditions. The drama follows Jenny as she meets her patients and learns to love the people who live in the East End. Henry Louis Gates, Jr. explores the United States' emergence from the Civil War and slavery, and the thwarted vision for an interracial democracy that still impacts the country more than 150 years later. Dominic West (The Affair, The Wire) stars as Jean Valjean, and David Oyelowo (Selma, A United Kingdom) as Javert in this epic retelling of Victor Hugo's classic novel, "Les Miserables." They are joined by a host of Britain's most-talented actors, including Lily Collins (Rules Don't Apply) as Fantine, Olivia Colman (The Crown, Broadchurch) as Madam Thenardier, and Josh O'Connor (The Crown, The Durrells in Corfu)as Marius. This adaptation was scripted by Andrew Davies (Pride & Prejudice, War & Peace). The incredible true story of an Auschwitz survivor's journey to forgiveness and healing. At the age of 10, Eva Mozes Kor fought to stay alive inside the concentration camp where she and her sister Miriam were being experimented on as one of "Mengele's twins." After decades of torment and pain following her liberation, she came to the epiphany that she needed to forgive the Nazis to move forward with her life. She has since emerged as arguably the best-known and most-active Holocaust survivor in the world. Despite her body failing her, the 4-foot-9, 83-year-old, who lives in Terre Haute, Indiana, circles the globe delivering her messages of healing and self-empowerment. Her lessons go far beyond her own experience, addressing current global atrocities and two of the biggest problems facing today's youth - bullying and discrimination. Narrated by actor Ed Asner, the film weaves Eva's story through footage shot in Poland, Germany, Israel, Romania, England and the United States, along with interviews from CNN's Wolf Blitzer, whose grandparents died in the Holocaust; actor Elliott Gould; and former pro basketball star Ray Allen (a member of the U.S. Holocaust Memorial Council). Three consecutive nights of live coverage that follows the fortunes of a cast of unforgettable wildlife characters at the climax of spring. Discover more about the world we live in by shedding new light on a geopolitical hot spot. Often considered a "forgotten war," the Korean War was an important turning point in world history that still reverberates today.